This is particularly frustrating for the residents who will recall Lambeth College’s application for redevelopment submitted back in 2011. This was only approved by Lambeth Council Planning Committee once the College and Architects worked together with residents directly affected by the site on revised plans to take into account the needs of the residents overlooking the site (Brixton Hill Court, Torrens Road and Horsford Road). At the time this collaboration between the College and Residents was praised by the Planning Committee as a model of good practice and the revised proposals were then approved with no opposition. 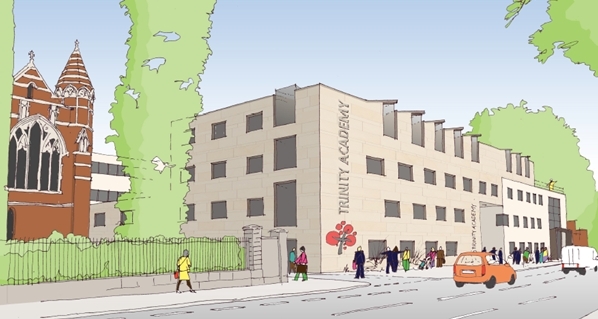 Local residents hope that similar collaboration will be forthcoming before a Planning Application is submitted for the proposed redevelopment which now includes Trinity Academy, following the sale of part of the Brixton Hill site. The meeting is open to all and will take place on 4th March at 7pm-8.30pm at Corpus Christi Church Hall, 11 Trent Road, SW2 5BJ. This entry was posted in Blog and tagged Brixton Hill, Corpus Christi Church, events, Horsford Road, Lambeth College, planning, Torrens Road by Martin Tiedemann. Bookmark the permalink.